In a previous post, I ask: if the policy cycle does not exist, what do we do? 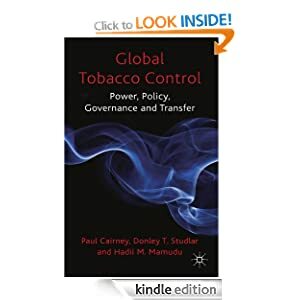 In this artificial policy cycle world, ‘comprehensively rational’ policymakers combine their values with evidence to define policy problems and their aims, ‘neutral’ bureaucracies produce many possible solutions consistent with those aims, and policymakers select the ‘best’ or most ‘evidence based’ solution, setting in motion a cycle of stages including legitimation, implementation, evaluation, and the choice to maintain or change policy. Defining problems. There is too much going on in the world, and too much information about problems. So, policymakers have to ignore most problems and most ways to understand them. They use ‘rational’ and ‘irrational’ short-cuts to help them pay attention to a manageable number of issues and address problems without fully understanding them. Problems get attention based on how they are ‘framed’: actors use evidence to reduce uncertainty, and persuasion to reduce ambiguity (they focus our minds on one way to understand a problem). Producing solutions. When policymaker attention lurches to a problem, it’s too late to produce a new solution that is technically feasible (will it work as intended?) and politically feasible (is it acceptable to enough people in the ‘community’?). While attention lurches quickly, feasible solutions take time to develop. Making choices. 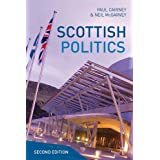 The willingness and ability of policymakers to select a solution is fleeting, based on their beliefs, perception of the ‘national mood’, and the feedback they receive from interest groups and political parties. Don’t think of these things as linear ‘stages’. Instead, they are independent ‘streams’ which have to come together during a brief ‘window of opportunity’. All key factors – heightened attention to a problem (problem stream), an available and feasible solution (policy stream), and the motive to select it (politics stream) – must come together at the same time, or the opportunity is lost. If you think of the streams as water, the metaphor suggests that when they come together they are hard to separate. Instead, a ‘window of opportunity’ is like a space launch in which policymakers will abort the mission unless every factor is just right. So, what do we do in the absence of a policy cycle? Policy entrepreneurs’ know how to respond. They use persuasion to frame problems, help develop feasible solutions, wait for the right time to present them, and know how to adapt to their environment to exploit ‘windows of opportunity’. Take home message for students. It is easy to dismiss the policy cycle, and find better explanations, but don’t stop there. Consider how to turn this insight into action. If policymaking is so messy, how should people respond? Studying ‘entrepreneurs’ helps us identify strategies to influence the policy process, but how could elected policymakers justify such a weird-looking process? Finally, look at many case studies to see how scholars describe MSA. It’s a flexible metaphor, but is there a coherent literature with common themes? 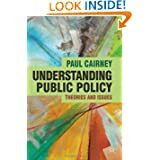 There is also a chapter on MSA and ideas in Understanding Public Policy.